Who doesn’t love pizza? We do. 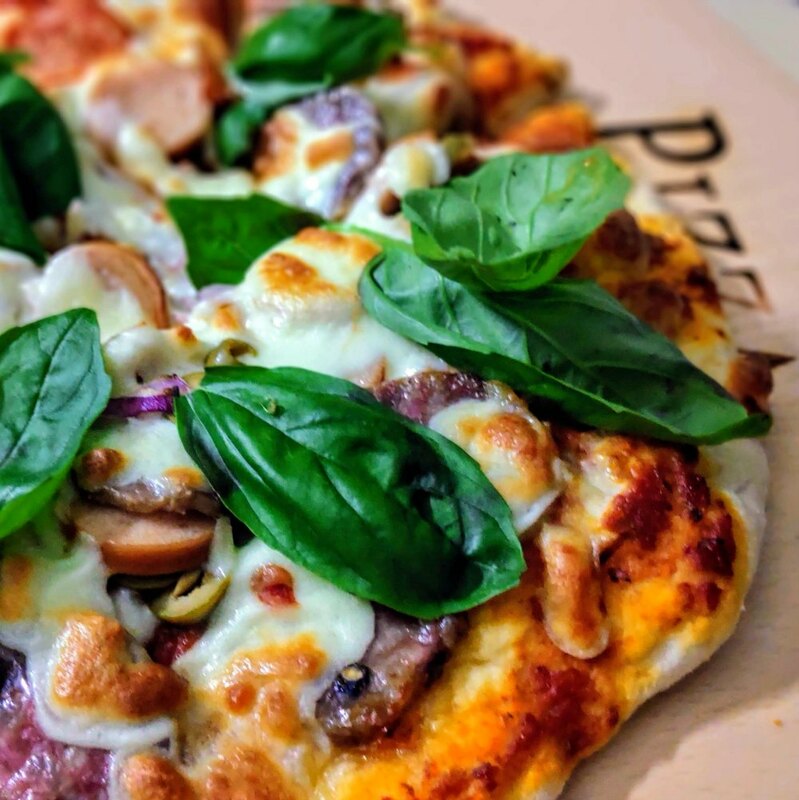 And in our ongoing quest to produce homemade pizzas that can challenge those from our favorite pizzarias, we have tried various methods and tried countless contraptions including multiple pizza ovens. While many of the ovens we tried did produce very good quality pizzas, it is probably not a feasible solution for those who only bake a pizza occasionally. What makes the Baking Steel easily the best pizza baking accessory that we ever had the pleasure of owning is that it can be used with your existing electric or gas oven at home. The biggest challenge in pizza baking is replicating the 700-900 degrees heat of a industrial pizza oven at home. At these temperatures, the dough gets cooked quickly in under 2 minutes. This produces a thin crisp outer crust, a chewie center and the right amount of char. And that is the holy grail of the perfect pizza. A home oven normally only reaches 500 – 550 degrees. It will never be able to produce pizzas similar to those baked in an industrial oven. The Baking Steel is a simple solution to what seems like an impossible problem. There is actually nothing special about the Baking Steel itself. It is just a simple piece of thick machined steel plate. However, steel has high heat capacity which means it can store a lot of heat. 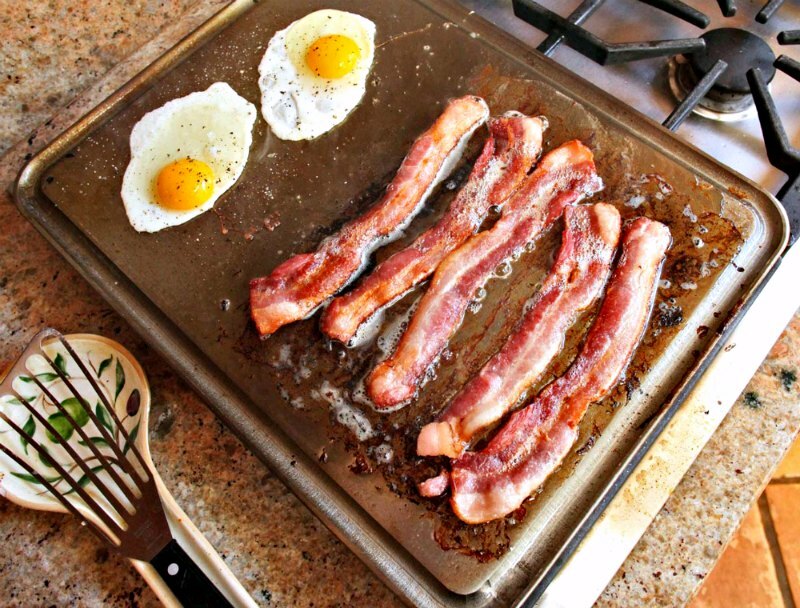 To use the Baking Steel, you first leave it in the oven running at maximum temperature and let it soak up all the heat. This takes about 45 mins to an hour. You end up with a really hot cooking surface ready for your pizza. Steel is also a good heat conductor. That means that when you slide that pizza dough on top of the Baking Steel, heats get transferred quickly from the steel surface to the dough. While the oven may not be as hot as an industrial oven, the quick heat transfer helps produce that insanely crisp crust and chewy inside texture we all love. It also produces the right amount of charring and brown spots that we associate with a perfectly baked pizza. Some of you may know of something similar called a baking stone. A baking stone does the same thing as the Baking Steel except for a couple of differences. Firstly, a baking stone has lower heat conductivity. This makes the heat transfer slower and the pizza doesn’t cook as fast. Secondly, if you are baking multiple pizzas, the wait time between pizzas is slower when using a baking stone. The higher heat conductivity allows the Baking Steel to soak in the heat and get back up to temperature again faster than a baking stone. Last but not least, baking stones will eventually crack and fail even with proper care and use. A Baking Steel as expected, is virtually indestructible. 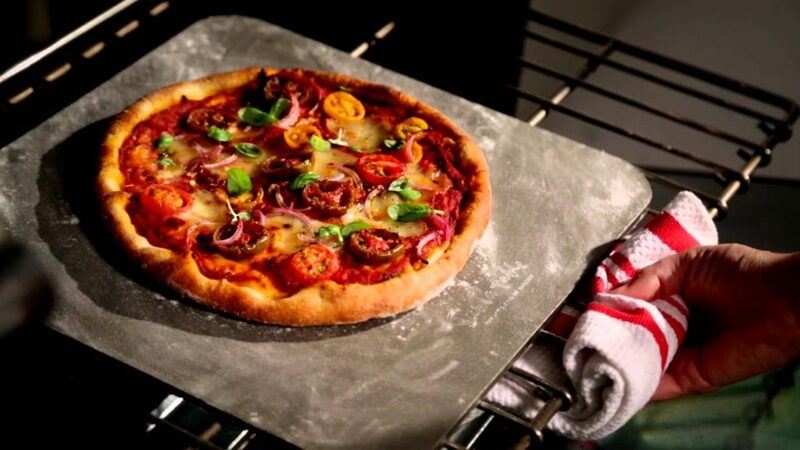 The Baking Steel might cost twice as much as a good baking stone but we believe it will last forever. It does discolor with use but don’t worry as that is perfectly normal and won’t affect its performance. The Baking Steel is available is various sizes, shapes and thickness. You can order one according to your oven size. They come already pre-seasoned with a layer of oil and can be used right away. 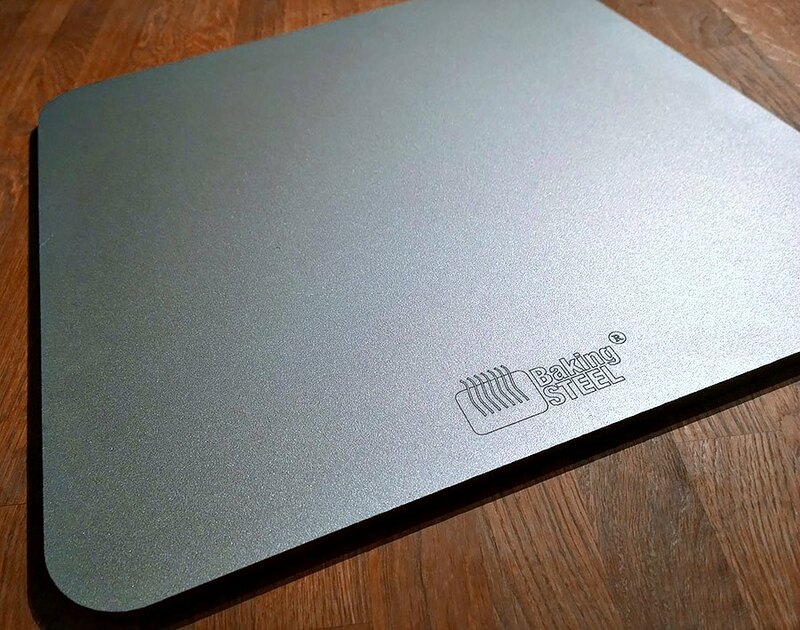 As an added bonus, the newest versions of the Baking Steel plates have a reverse polished surface with a grease channel. This allows it to be used as a griddle when placed on top of a stove. Perfect for searing steaks, burgers and chops.